February already? What? Well actually I can believe it because January went REAL slow for me at least. 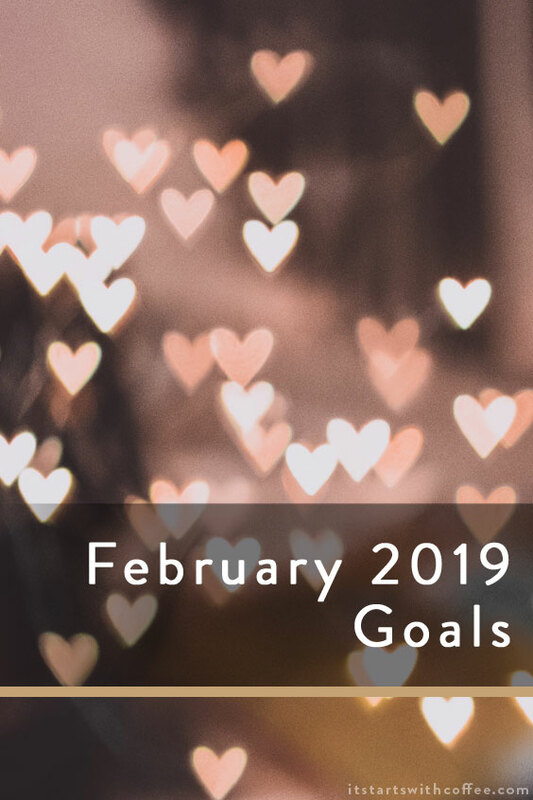 I am so excited to share my February 2019 goals and also share how I did in January. Read 5 books – Yes I read 5 well I am almost done with the 5th. Start regularly going to barre- I went twice this month and then Liam was super sick and it was very cold. Organize our kitchen pantry – Yes done and done (you can read about it here). Get all of February posts written and scheduled- Sadly no. I have them planned but not all written. Have 2 date nights with Andrew – We didn’t have date NIGHTS but we had date days. We had a Saturday brunch date and ran errands because parents. Then Andrew was off work on MLK day but Liam had school, so we went to brunch and came home and watched movies together. Walk outside every day that weather permits – There was almost no days that were good for outdoor walks. It was insanely cold. Get back into daily meditations – I have been mediating nearly every day. Finish planning Liam’s second birthday party (WHAT!?) – Yes! It’s next weekend and I am NOT OK that he’s turning 2. 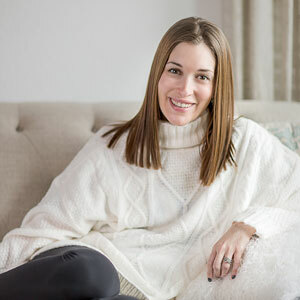 What are some of your February 2019 goals? It’s so inspiring to see goals no matter how simple they may, being met. I sometimes set them at the start of the year and then forget about them along with the holiday decors. I have been trying to meditate every day too, and have found it super helpful in having a more positive and calm mindset. Good luck with your February goals! These are such great goals. I’m hoping to read more now that the twins are a little more settled! You did a lot in January! Sick babies are never fun, so I hope he is on the mend. Enjoy your February and his second birthday! I love day dates with my husband! I feel like we do way more during the day than we would if we just did dinner and movie at night like we usually do. Wow I could do some serious damage in Nordys. Thanks for the chance to win! In February I want to get caught up on at least one of my scrapbooks and I need to start planning my youngest son’s third birthday party for March! You are rocking it. Way to go! Taking the time to write down goals is a great way to hold yourself accountable. You did accomplish quite a lot in January. Unfortunately, I didn’t accomplish that much. I am hoping to cross out at least 80% of my February goals. You did accomplish quite a lot in January. Unfortunately, I didn’t accomplish that much. I am hoping to cross out at least 80% of my February goals. Good luck with your goals too. Good to see the things you have achieved in the month of jan 2019. I love reading books while I travel and I found this to be very interesting. An article like these really helps me to focus on my day to day work and also keep me engaged. Thanks for sharing. It is great to have monthly goals and I wish I could have short-term goals. I usually go by flow and land up missing things that had to be completed. My goal for February is to establish a workout routine and spend more time with Izzy that doesn’t involve Netflix and chilling. Well done you! I love having a clean plan of what I want to achieve in the next days/weeks/ month and it really helps me get the right mindset to reach my goals each time! You did really well with your January goals! It was also way too cold here to go for winter walks, which was one of my goals too. This is such a generous giveaway. Thank you! Anyway, we have quite a lot of similarities for February. I also plan to walk outside more and try to have at least one date with my husband. Let’s do this! Happy to hear that you did well with your goals last month! I’m sure you will also do well with crushing your goals this month as well!